Home / CELEBRITY NEWS / "The Falcon" Anthony Mackie Runs an Election Campaign in "Our Brand is Crisis"
"The Falcon" Anthony Mackie Runs an Election Campaign in "Our Brand is Crisis"
In the film, a Bolivian presidential candidate failing badly in the polls enlists the firepower of an elite American management team, led by the deeply damaged but still brilliant strategist “Calamity” Jane Bodine (Bullock). Mackie’s character, is Ben, the campaign team leader, whom director David Gordon Green describes as “smart, energetic and good-willed, the likeable anchor in the film. When everyone else seems to be challenging their ethics and making you question where they’re coming from or what their agendas are, he’s the one audiences will look to as someone who may still have some perspective. Which is not to say that Ben isn’t a willing participant in the game, but he has his limits. 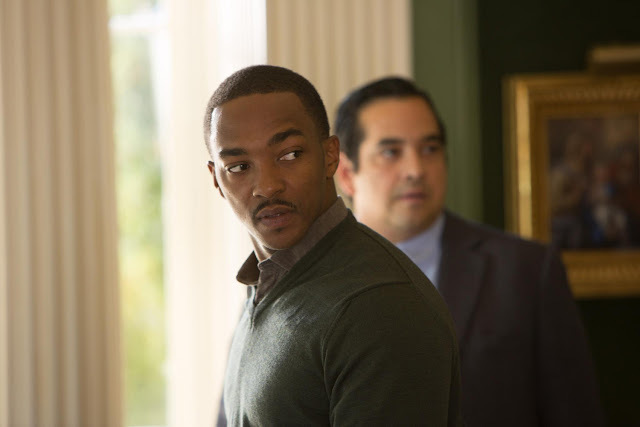 Classically trained at the Juilliard School of Drama, Anthony Mackie is a great and talented young actor able to capture a plethora of characters. Mackie was discovered after receiving rave reviews playing Tupac Shakur in the off-Broadway play “Up Against the Wind.” Immediately following, he made an auspicious film debut as Eminem’s nemesis, Papa Doc, in Curtis Hanson’s “8 Mile.” He also appeared in Clint Eastwood’s Academy Award-winning “Million Dollar Baby,” opposite Hilary Swank, Morgan Freeman and Eastwood; and Jonathan Demme’s “The Manchurian Candidate,” alongside Denzel Washington and Liev Schreiber. In 2009 Mackie was seen as Sgt. J.T. Sanborn in Kathryn Bigelow’s multiple Academy Award-winning film “The Hurt Locker,” for which he earned an Independent Spirit Award nomination. In 2011 Mackie was seen in “The Adjustment Bureau,” with Matt Damon and Emily Blunt, as well as “Real Steel,” with Hugh Jackman. He was also featured in Timur Bekmanbetov’s “Abraham Lincoln: Vampire Hunter,” released in 2012. He starred in the 2013 crime drama “Gangster Squad,” alongside Sean Penn, Josh Brolin, Emma Stone, and Ryan Gosling. 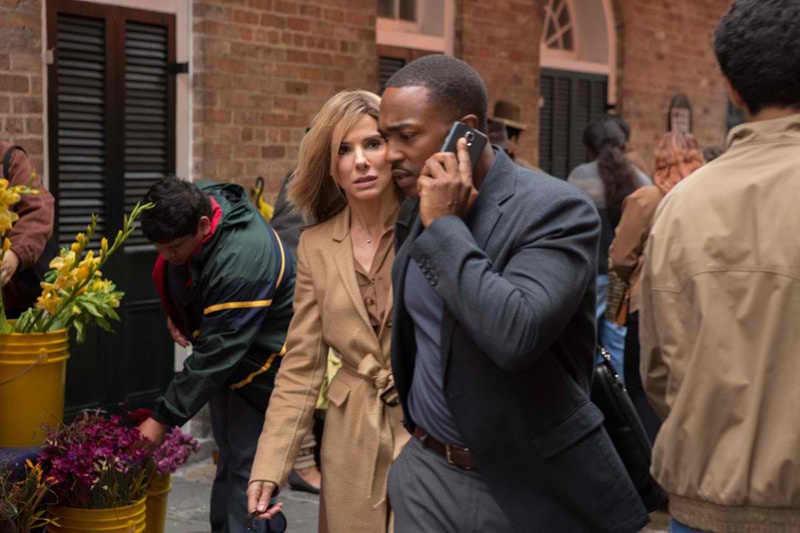 Opening across the Philippines on Jan. 20, 2016, “Our Brand is Crisis” is distributed by Warner Bros. Pictures, a Warner Bros. Entertainment Company.